You can’t call it standing room only when there isn’t anywhere to stand, let alone sit. Call it whatever you want. You’re lucky to get in at all, when at least a dozen dejected fans are on the other side, still unwilling to accept the trio of “sold out” signs Scotch-taped to the ticket table. One man is on his cellphone. Maybe he has a connection inside. About two hours later, it was bedlam inside Cherry Hill East High School’s gymnasium. It was as if the fan bases from Haddonfield Memorial High School and Camden High knew this Monday night, South Jersey Group 2 sectional championship match would be an all-timer, something you absolutely could not miss, and especially not something to risk showing up late with the hopes of sneaking inside. Sometimes a camera and a press pass are as good as Charlie Bucket’s golden ticket. 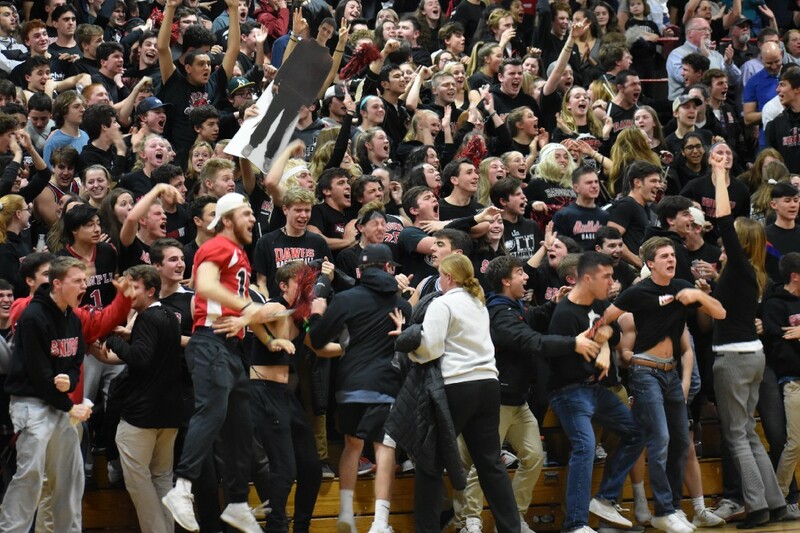 With eight seconds left, Haddonfield 6-foot-7 senior Dan Fleming took a pass from the team’s best shooter, Mike DePersia, faked an attempt to the basket, dribbled to hit left, shimmied out of the way of a defender, and let loose on a shot from behind the arc with eight seconds on the clock and his team down three. The ball found twine, tying the game before the end of regulation. The Bulldawgs student section went berserk. On Monday, it was the other way around. 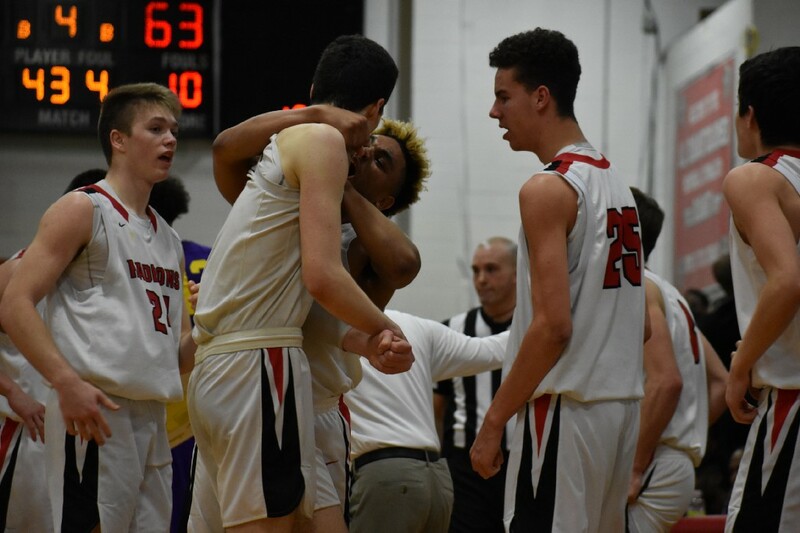 Fleming and his Haddonfield teammates overcame what seemed to be an insurmountable deficit, methodically slowing down the game while turning up the decibel level inside the gym at the same time, and pulled off an improbable 69–67 win over Camden to capture their second straight sectional title. 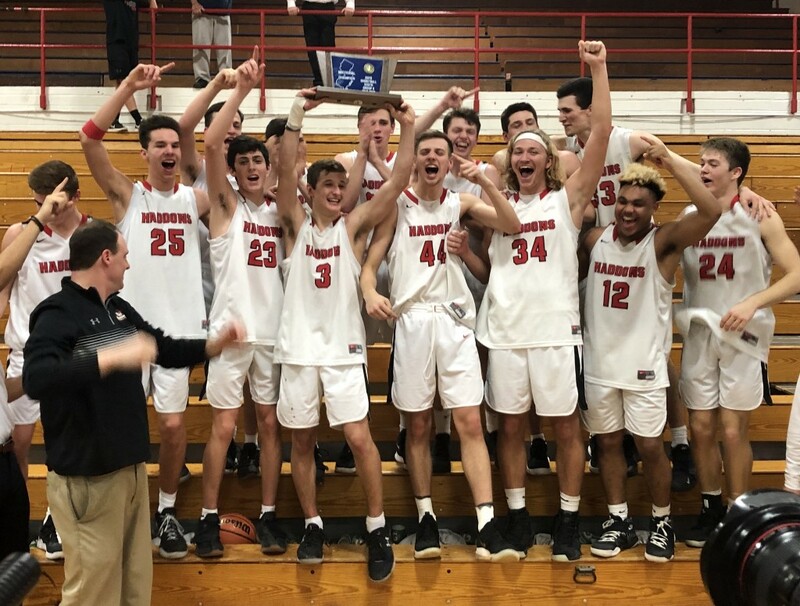 Haddonfield, the defending Group 2 state champions, seemed to be down eight or nine points every time you looked up at the scoreboard in the second half. They prevented the deficit from reaching double digits, for the most part, but they weren’t hitting shots or showing any signs of an ability to close the gap, either. 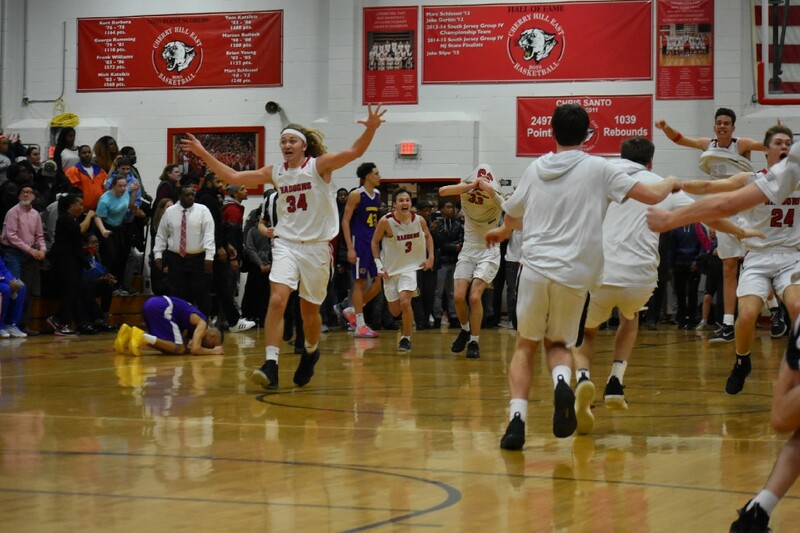 Little by little, though, the Bulldawgs made their run, despite trailing 52–38 early in the fourth quarter, or down 10 with a little more than two minutes remaining, or facing a seven-point deficit with 1:03 on the clock. But how the heck do you manage to get into that mindset when the math — too many points to make up in too little time — seems to be sending a slightly more pessimistic message? Fleming found his shooting form in the latter stages of a game Camden pretty much took over in the third quarter and to begin the fourth quarter, too. But Fleming was hardly alone in Haddonfield’s comeback. In the final minutes of regulation, DePersia knocked down free throws inside a crowded, rambunctious gym as if they were as easy of a task as tying his shoes during a timeout. And then there was Drew Gavranich’s steal, so special it deserved Johnny Most behind the mic. The ball wouldn’t have found its way back in DePersia’s hands — and then Fleming’s hands, and then through the twine — if fellow senior Gavranich didn’t swipe an inbounds pass with his team trailing by three with less that 30 seconds to play and manage to keep his feet inbounds after gaining the crucial, game-changing possession. Without the steal, there probably isn’t a game-tying three-pointer. A shot that Fleming admits was the best of his career, edging out a regular season buzzer beater as the only other one he’d put on the same level. Just as the seemingly impossible deficit was just small enough to be erased by the opportunistic Bulldawgs. The feat was even more remarkable when you consider that Haddonfield played just four games all season that were decided by single digits. And that they had won their first three postseason games by 37, 27, and 19 points, respectively. “Being down double digits, we’re not used to it, but we always rise to the occasion no matter what we’re going through,” Fleming said. As the hundreds of spectators spilled out of the gym, hurrying up only to wait in a long line of cars snaking their way around and eventually out of the Cherry Hill East parking lot, Fleming and his teammates found their way into the most coveted bleachers in South Jersey, held the trophy with pride, and enjoyed each other’s company, grateful their high school careers were still alive.